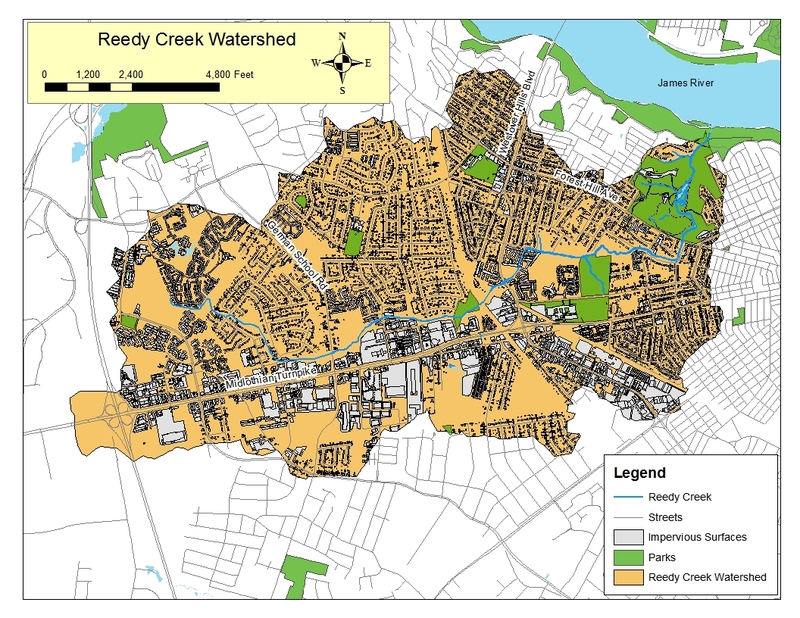 Reedy Creek: What’s in our stream? 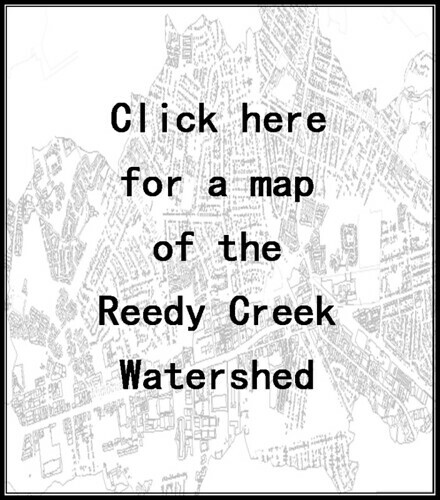 In partnership with the Alliance for the Chesapeake Bay, Reedy Creek Coalition volunteers are monitoring Reedy Creek to collect water quality data. 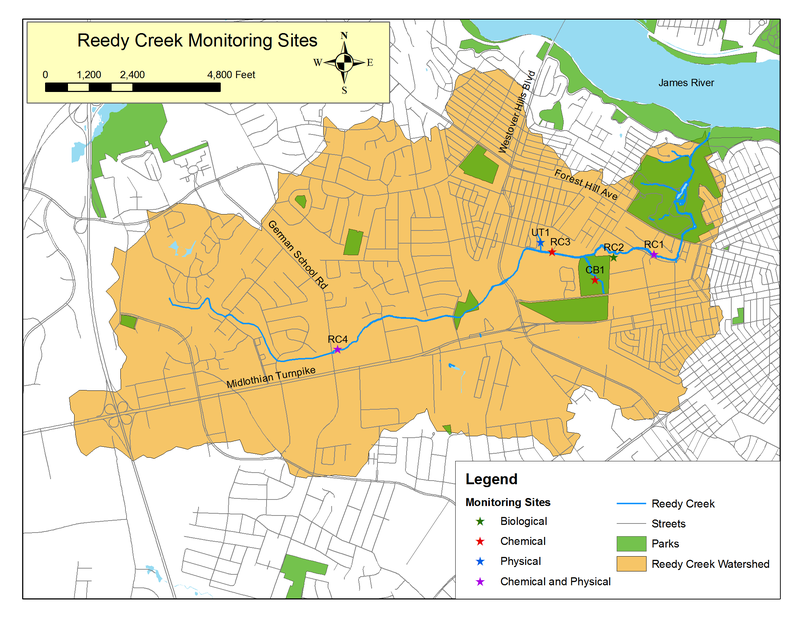 We collect chemical and bacteria data monthly at four sites. We also collect biological data (benthic macroinvertabrates) at one site twice a year. We’ve also been installing equipment to collect physical data such as the height of the stream during storm events, at a few sites. 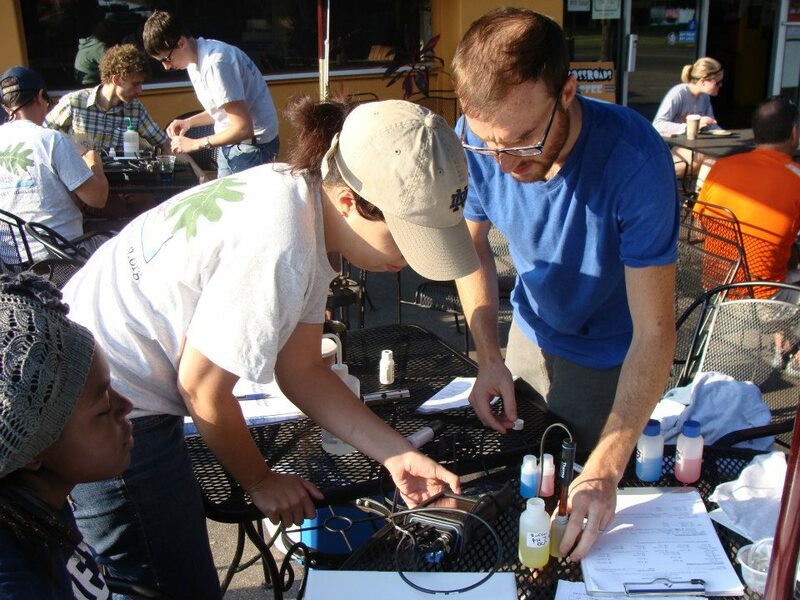 On the third Saturday of every month, our fearless volunteer teams set out to collect field data and water samples that are analyzed by at Microbac Laboratories. 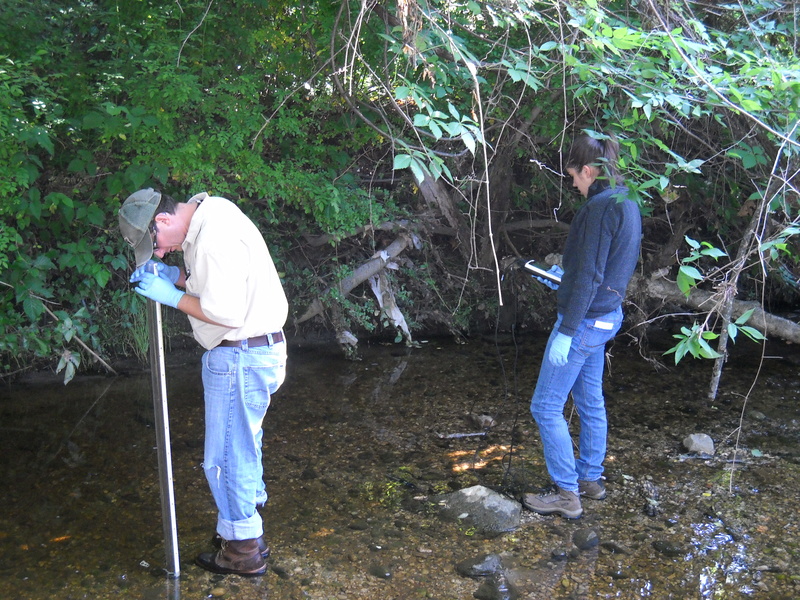 Volunteers calibrate the meter before collecting water data. Many thanks to our dedicated volunteers and to the Alliance for the Chesapeake Bay for providing training and technical expertise. Are you interested in joining the volunteers? 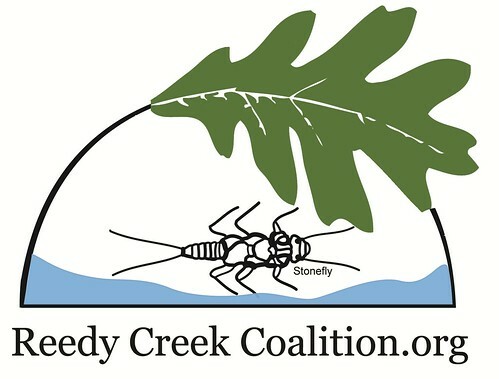 Send us an email at reedycreekcoalition@gmail.com. You can tag along with a group to see what monitoring is all about!